The Lodge at the Presidio adapts an 1897 two-company enlisted men’s barracks building for use as a contemporary 42-room hotel. The building is centrally located in the former-military-post-turned-national-park, in a row of five identical buildings. Adjacent to the Parade Ground, Visitor Center, and Crissy Field, it has stunning views of the Golden Gate Bridge, San Francisco Bay, Alcatraz, and downtown San Francisco. The architecture, furnishings, and artwork all speak to the building’s military past and to the site’s evolution into a National Park, grounding the building firmly in time and place. • To adaptively reuse the building, in compliance with the Secretary of the Interior’s Standards, for a hospitality use. The hotel accommodates visitors of every description: families, couples, and individuals; those traveling for leisure or business; and those searching for a luxury or budget-friendly experience. It offers a wide range of guest room configurations and amenities. • To provide gathering spaces to welcome hotel guests as well as the wider public. The first floor encourages guests to relax in the lounge and dining spaces, the covered porches offer eye-catching views, and the on-grade courtyard offers inviting seating and a fire pit. • To locate the back-of-house spaces that support the smooth operating of the hotel, including management offices, staff lockers and break room, laundry, and pantry storage, in the basement. 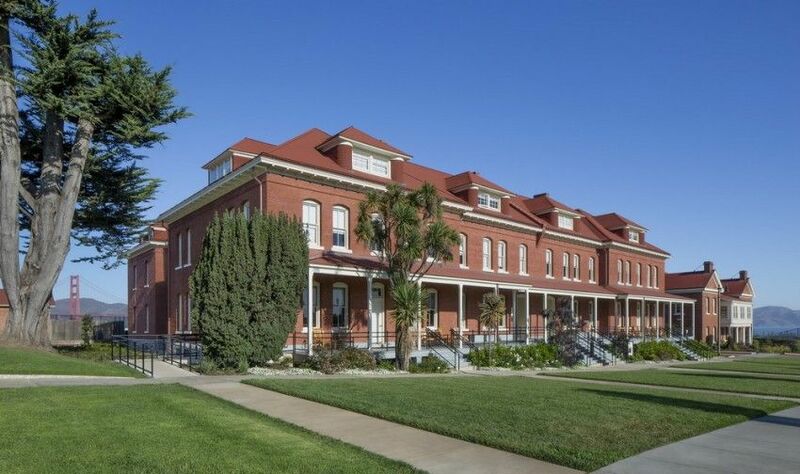 • To rehabilitate the exterior features and preserve the character of the building, acknowledging the historic context as one of five identical barracks buildings, and as a contributor to the Presidio National Historic Landmark District. The design team took great care in subdividing the building to accommodate 42 guest rooms while expressing the historic plan configuration. This approach created a unique mix of room types and sizes that feature historic elements. 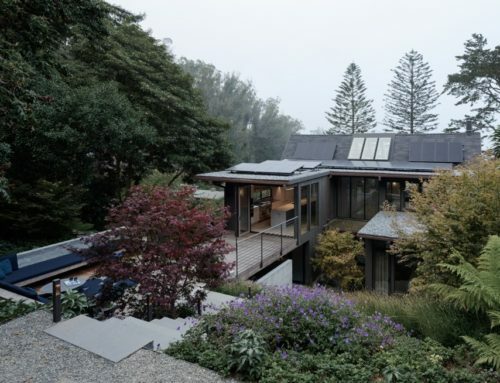 The design celebrates the building’s interior character defining features, such as the paired central stairs, cast iron columns, wood beams, wood flooring, and exposed wood trusses, while developing new details that are compatible. 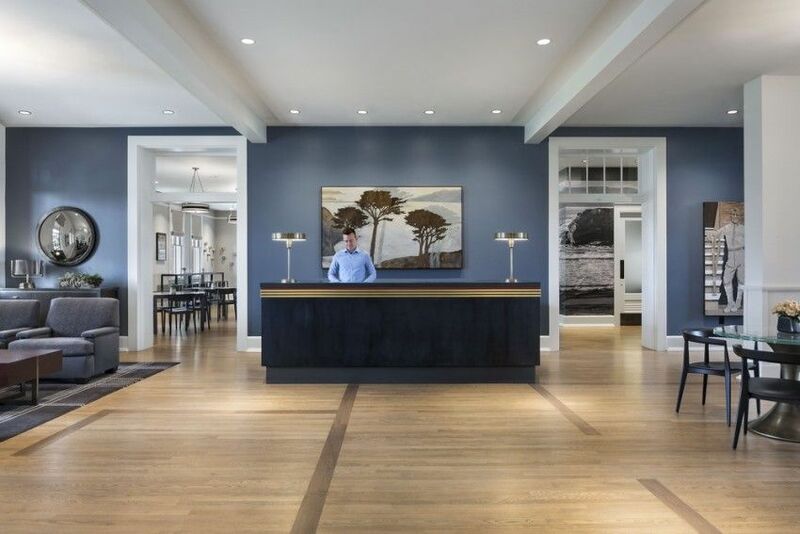 The interior design aesthetic is timeless and classic, with an element of the unexpected, and draws from the Presidio’s history as well as its urban park setting to inform and inspire guests.